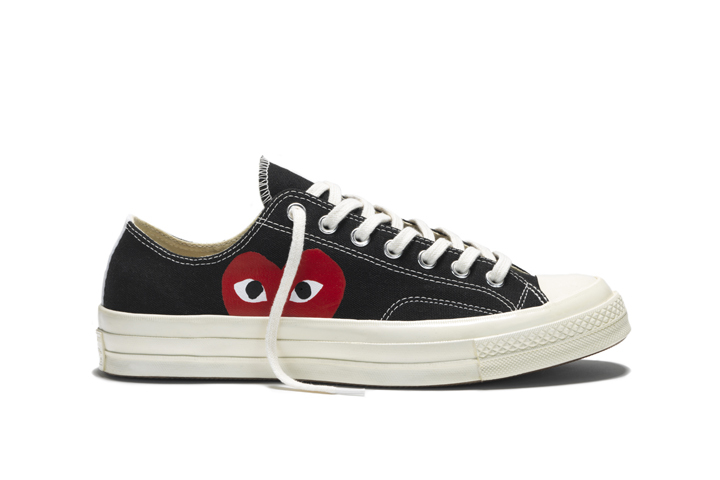 COMME des GARÇONS and Converse continue to develop their much loved partnership, this time finally adding the Chuck ’70 to the collection. 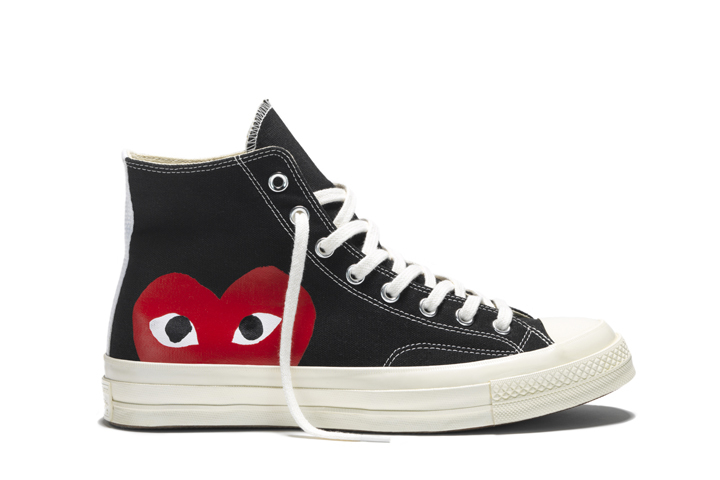 It wasn’t that long ago that I found myself stood in Liberty London with a pair of COMME des GARÇONS PLAY x Converse Chuck Taylor’s on my feet, my beaten Chuck ’70s on the floor beside me, wondering why oh why they hadn’t uses the Chuck ’70 silhouette. One you get used to that smaller toe cap, there’s no going back. Well, good news! 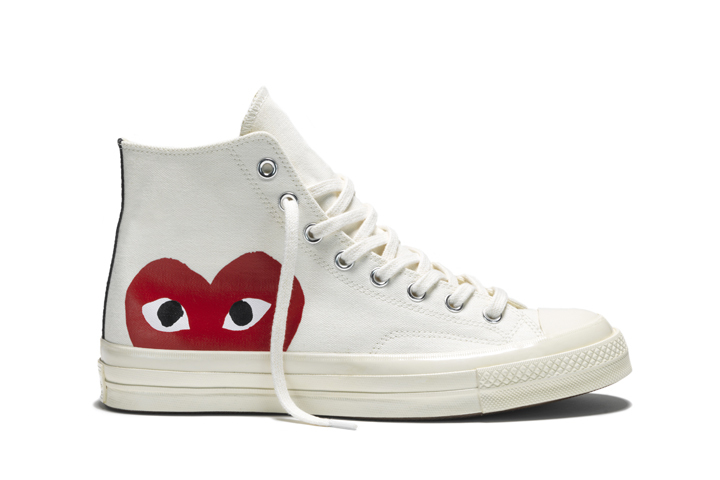 They somehow heard my thoughts and put them into production. 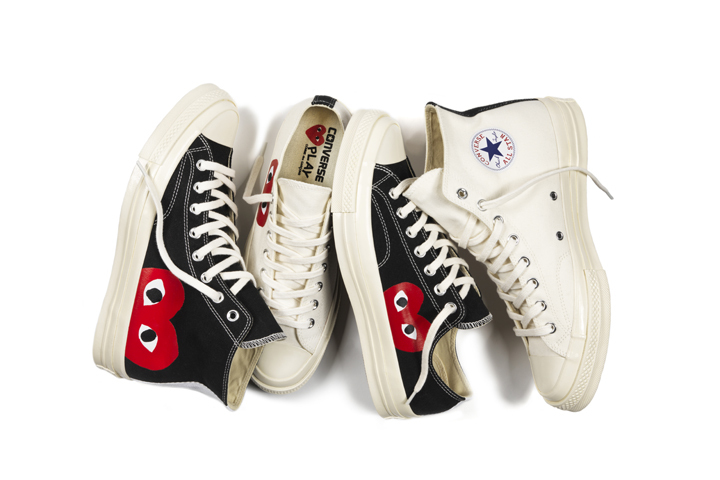 The collection features 4 pairs of the Chuck Taylor All Star ’70 in high-top and ox silhouettes. 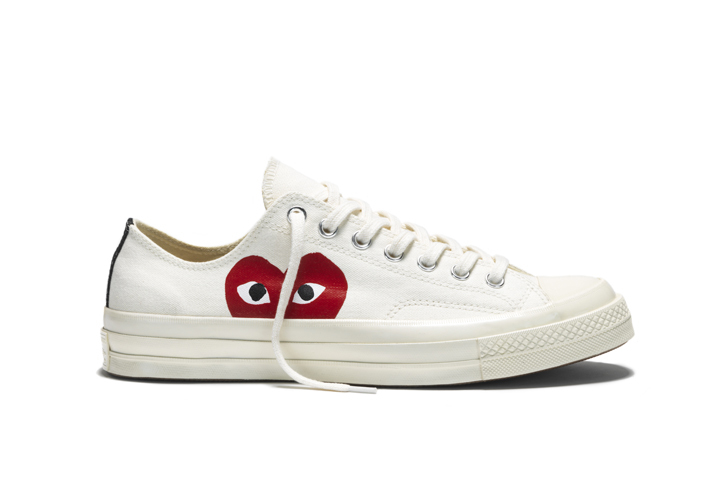 Things are kept simple, much like the beloved classic collaboration, but use a larger PLAY heart, slightly cut off by the midsole. 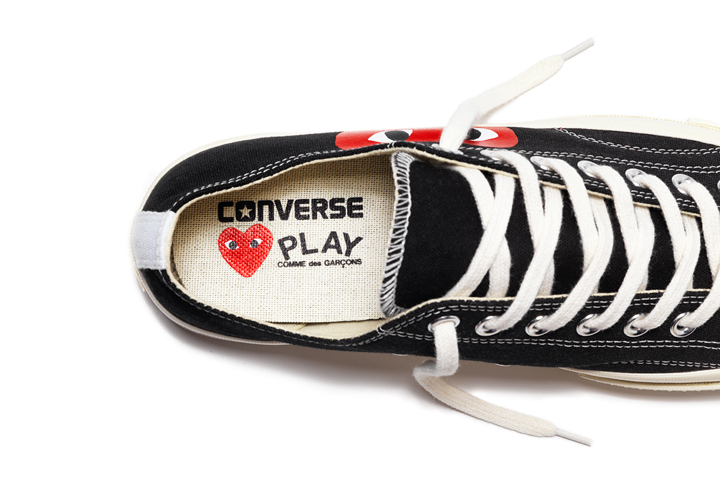 It’s a nice in-between from the original collaboration and the Pro Leather they did in 2013. 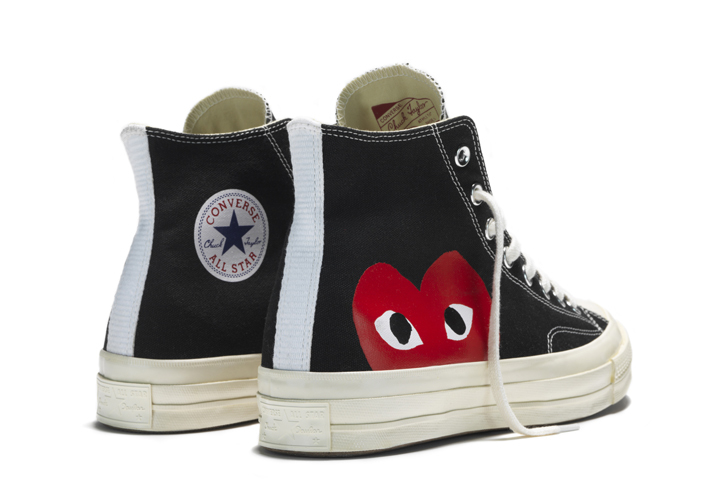 The COMME des GARÇONS PLAY x Converse Chuck Taylor All Star ’70 collection is available now from Dover Street Market priced at £95 a pair.